Under the common denominator of "astrology" are gathered various schools which correspond to several specific approaches of a discipline which is half-way between science and intuition or even art. Of course, it is necessary to consider its history in order to understand how these systems were adopted and later developed. To this purpose, we invite you to read the chapter dedicated to its evolution throughout time. Once we have underlined that for a long time, man has observed the sky, trying to understand the events occurring on the Earth – or to predict them – the methods or systems he will prefer remain unclear. Should he rely on the tropical or the sidereal zodiac? Which heavenly bodies should be considered: the solar system's planets, and in that case, which ones? Only those visible to the naked eye? Stars and asteroids? Questions are innumerable. Answering them means to start underlining the researches and theories carried out by the astrologers who were the forerunners or the leaders of those schools. In this feature article, we share with you the pieces of information we deem important, bearing in mind that they are not exhaustive. What ought to be remembered is that astrology is not an entrenched human discipline. It evolves constantly, including in our times. As indicated by its name, this school is based on the tradition. Nevertheless, the definition is neither simple nor always well understood. 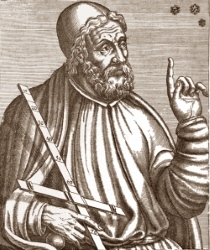 It is mainly Claudius Ptolemy, a Greek astronomer and astrologer, who drafted its broad principles. As a seasoned Hellenist, he compiled the works of his predecessors. Nowadays, it must be admitted that the terms "traditional astrology" have become a rag-bag. It is true that this approach is quite restrictive and frozen, stricto sensu. It has a predictive aim in so far as there is no leeway for the human being once his natal chart is cast. Basically, traditional astrology focuses on planets visible to the naked eye, for obvious reasons. Trans-Saturn planets, discovered many centuries later with the improvements of technology, are not taken into account. The tropical zodiac is used. The interpretation is quite binary, for planets are either auspicious or malevolent, and aspects are either good or bad. A planet is said to be "in good or in bad celestial condition", depending on its connections with the other planets and with the zodiacal signs (according to the terminology, there are planetary dignities and debilities). The approach is mainly predictive. It is impossible to weather the planets' influences. No resort to so-called human sciences is allowed. It is one of the first schools of the 20th century. It was elaborated in reaction to the fatalism of traditional astrology. Here, the discipline is seen as a tool for personal development and for holistic evolution, with a view to bettering relationships. In the fifties and the sixties, a centre of International Astrology was established and drew many renowned astrologers, especially the highly influential André Barbault. 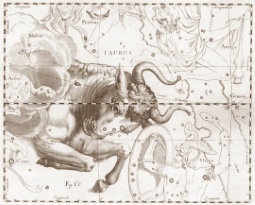 When he discovered the works of psychoanalysts, particularly those of Freud, Barbault put forward the premise that astrology also works on this mode. Each planet gives a specific temperament and archetypes, while signs indicate the planets' areas of expression. 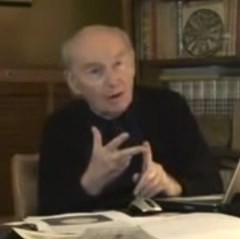 Subsequently, throughout his long career – he is still active – Barbault preferred to focus on his personal research instead of founding a school, strictly speaking, with "disciples". He thinks that charts must be compared against actual experiences and against history (with its celebrities). He also specialised in mundane astrology, a branch which analyses events as well as the cycles of civilisations. He became an eminent expert in this specialty. The guru of this school is Dane Rudhyar, a French astrologer, artist, and intellectual who emigrated to the States. He got interested in humanistic psychology and laid the first foundations of this school in the thirties with his book, The Astrology of Personality. However, the name "humanistic" was given in the sixties only. 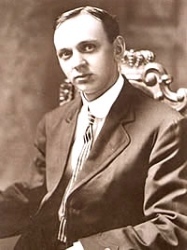 Rudhyard's method puts the human being at the centre of the natal chart. The practitioner analyses the natal chart and reads it philosophically. The principles of "good" or "bad" aspects are completely set aside. Furthermore, genuine humanistic astrologers do not use the traditional chart. They draw a mandala inspired by the equal house system, which enables them to rely on two perpendicular axes. The horizontal axis corresponds to "me and the others", and the vertical axis is that of "the centre of the being" (South) and goes towards the world (Meridian). While the zodiac and the planets are considered to be collective points of reference, the Houses help to dive into the life of the chart owner. The humanistic astrologer looks for the most important fields of experience so that the chart owner can grow harmoniously. 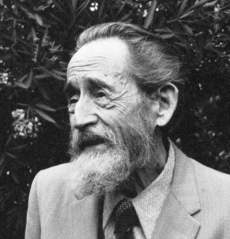 Conditionalist astrology – also called "modern" or "natural"
Jean-Pierre Nicola defined its principles in the mid-sixties. Firstly, conditionalist astrology includes all areas of scientific developments. Secondly, it does not clash with the tradition but prolongs it while ridding it of its outmoded elements. Therefore, it uses the rules of planetary cycles and pays attention to the adaptation of man to his natural environment. In other words, the field of action is at the level of the dynamics of living beings and of reality. The word conditionalist was adopted to underline the non-fatalistic and non-absolute nature of this modern form of astrology. According to it, the potential of the chart will have variable effects depending on heredity, education, social, cultural, and historical background, among other parameters. This school also studies the question of age. Its practitioners believe that there is a correlation between the planetary cycles and the human being. From birth to death, and beyond personal experiences, each period of life is ruled by a planetary function. It must be noted that the supporters of this school deem that the word "conditionalist" is neither buoyant nor attractive. Among the many books which strive to deepen this approach, some prefer to use the terms "natural" or "modern" astrology. Nevertheless, its followers do not wish to be mistaken for humanistic astrologers, since they dismiss all the parameters associated with spirituality. This school considers the principle of reincarnation. The astrological chart is supposed to provide clues about past life and about our capacity for evolution in order to take control of our karma. The analysis of the chart is carried out using classical methods. The interpretation highlights certain objects and specificities such as the lunar nodes, the Black Moon, the Part of Fortune and, when applicable, retrograde planets. The lunar nodes are a major feature of karmic astrology. The position in sign and in House of the South Node, as well as the planets forming an aspect to it, represent the background we come from, i.e. our past incarnations. Analogically, the North Node symbolises the direction we are striving towards, meaning the purpose of our current incarnation. Irène Andrieu, Martin Schulman, Edgar Cayce, Pierre Lassalle or Patrick Giani are the well-known representatives of this school. As indicated by its name, sidereal astrology deals with constellations and is not related to seasons like tropical astrology. In other words, the planets' position is analysed with regard to the twelve parts, of 30 degrees each, of the sky, starting at the vernal point, where the constellation of Aries was in Antiquity. Owing to the precession of the equinoxes, the vernal point has moved, and still does, by approximately 23° since the Babylonians. For example, all people born until 18 April have the Sun in Pisces, whereas those born between 19 April and 13 May have the Sun in Aries in the sidereal system. 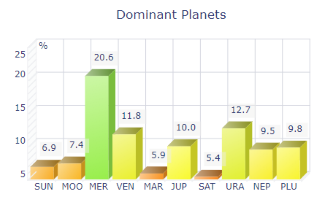 For recent dates, there is a gap of almost one sign when compared to western modern astrology. Unintentionally, siderealists contributed to the confusion recurring in the general public or in specialised medias that the zodiac is wrong. Actually, most western astrologers use the seasons as their reference. We are only facing two different systems of two different zodiacs. Then, if there are two different charts, it means that one of those astrology does not work? This is what the people who do not know the subject ask. Well, yes, both astrology work well, and the gap mentioned above is "compensated" by their distinct interpretations, especially of signs, as experienced by those who have tried both schools. 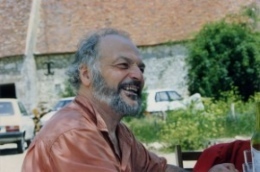 In the fifties, French researcher Michel Gauquelin started to seek evidences of planetary influence using statistics. He made a list of persons who became famous in various categories such as athletes, novelists, scientists, political leaders, or servicemembers. He tried to check whether the planets' effects could be attributed to a given area. For instance, Mars rising and culminating for athletes and servicemembers, Saturn for scientists, Jupiter for politicians, etc. He strove to see whether statistics could indicate more than average occurrences. He was the first one to be astonished by the results, since there were correlations, though not for all planets. Without going into too many details regarding the setting up of a methodology potentially acceptable to all, and Gauquelin's own prevarications, his works were later questioned by a few astrologers, while some others though they were very interesting and relevant. How to choose today between all these schools or churches, which have enabled astrology to move forward? At times, supporters of one school or another have fuelled heated debates to discuss which one should prevail. We do not intend to take sides, since we believe on the contrary that all these schools meet various specific needs, to the annoyance of those who declare that "their" school is the only one and that all the rest ought to be dismissed. For example, it is correct that astrology has a few indisputable flaws whenever the interpreter works only with its fatalistic meaning. On the other hand, it deserves to be studied because it teaches how to use aspects or rulerships, a feature which tends to be forgotten or less considered. As questionable as it may be, traditional astrology allowed to clearly define the major rules. Likewise, the person who wants to hear nothing about humanistic astrology for instance may miss an opportunity to gain an interesting input in terms of personal development. Therefore, each of us must try to make up our mind. Indeed, it is practice and not theory which makes all the difference.